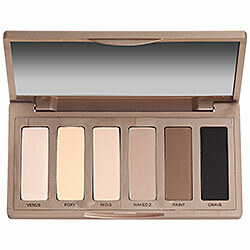 The Naked Basics palette runs about $27 at most retailers (Ulta, Sephora, etc.). It has 6 shades, a good sized mirror, and what seems, after 6 months and a ton of trips and general clumsiness, to be a really good and sturdy case. Venus - A very lightly shimmery white that I tend to use in the inside corners of my eyes and, on occasion, as a highlighter under my eyebrows. Foxy - A yellowish color that I don't use often by itself, but that I blend with the other colors sometimes, especially in the summer. 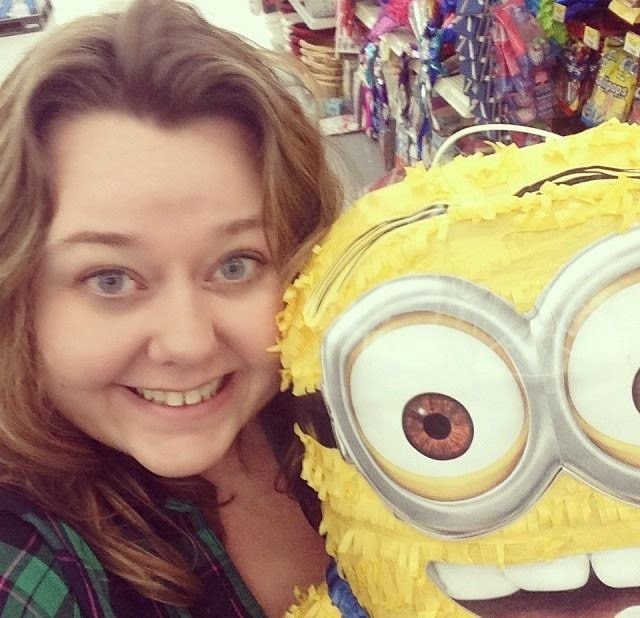 Walk of Shame (W.O.S.) - A great, light beige neutral. Good highlighter, especially when you don't want any shimmer. Naked 2 - This color is what I use everyday first. It's just good for getting my eyelids the same color before I put anything else on, and, even when I don't wear anything else, this gives me a little color. Faint - A darker brown color that I use on the crease of my lids usually. Mixed with the Foxy it's really pretty and a nice subtle smokey color. Crave - BLACK black. Like, really black. It's nice and matte though, so sometimes I make a gray shadow with it and Venus or Foxy, and sometimes I actually put it really close to my eyelashes and do a kind of "faux liner" move with it. I can toss this in my purse, it's not too expensive, it's easy to come up with color combinations, and it cuts out the need for any more products that I would have to take the time to apply or carry around with me. 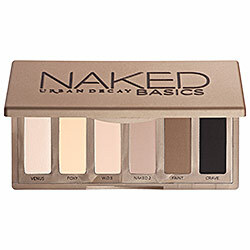 *Urban Decay doesn't pay me, they have no idea who I am, and I didn't get this palette for free or a reduced price. I just like talking about pretty stuff.